‘That’s brilliant Max!’ 99 concludes knowing full well he just repeated her suggestion in his own way. 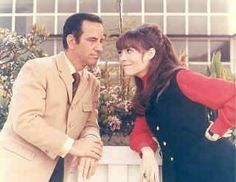 Get Smart, a great TV series. I enjoyed 2006 movie as well. Swordfish!!! There is a saying from Mark Twain, “Never allow someone to be your priority while allowing yourself to be their option”. Ever happen to you? That is what I thought. The more I observe and think about my experience, the best relationships are the ones you don’t have to have, you have an option to be in them. In other words, you are in it because you want to be and make it a priority. As I look around at relationships with friends, family, and couples I know, including what I strive for with my wife Angela, what are the dynamics at work? It is evident that they are in it because they want to be, whether it is professional or personal; including ones with family. Being related does not necessarily mean there is a relationship; you can chose whether or not to make it so. As you may have read, I certainly did with my Mom and I made that decision over time. Great relationships are not easy to form and harder to maintain. What is it about these relationships we don’t have to have that we want to have anyway? Relationships in your life that are based on those threads will be there for you in times of need to encourage, correct, listen, and help out any way they can. They will be the ones that really care. I call them my ‘3am friends’ and they are there for you even at that hour. Of course, we must ask ourselves if we will be there for others as relationships are, after all, a two-way street. They require investment from both parties, and there is no greater investment that you could make. Relationships that you don’t have to have are worth your effort because of the joy and life that they give; they must be fought for and maintained.